Lots of fun and a very successful event. 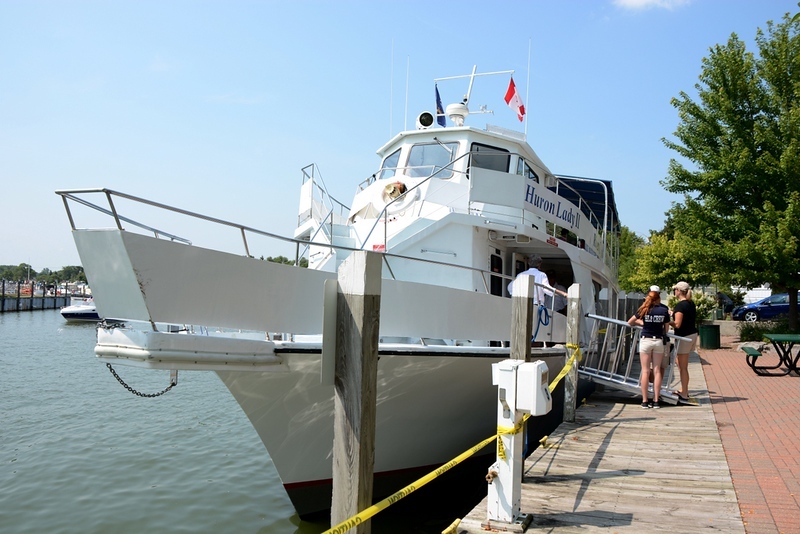 Just think what it would be like going for a 3-hour cruise down the St.Clair River on a beautiful sunny day and having lunch, drink, doing what you love doing - knitting - along with personal instructions. Then, enjoying the wind blow through your hair as you gaze at beautiful homes, freighters, yachts, wave runners and boats cruising by. Well, this is what the (50) guests did on this Sweet Pea's Yarn & Gifts Boat Cruise on the Huron Lady. Everyone received a grab bag with a "Yarn Tasting" of the finest yarns, pattern, instructions, gifts from vendors, etc. Everyone had a fabulous time and, so did the men... What's good for the goose is good for the gander. Several men went along and the mix was great. Congratulations Patty for having such an exciting event!